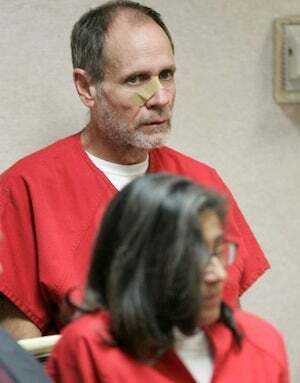 Today in court an attorney for Nancy Garrido, wife of Phillip Garrido, said the two recently confessed to police that they kidnapped Jaycee Dugard in 1991 and held her captive for 18 years, during which time Phillip repeatedly raped her and she gave birth to two children. The lawyer, Stephen Tapson, said they confessed because Phillip wants his wife's sentence reduced, The Los Angeles Times reports. The prosecution and defense have been negotiating over a plea deal that would allow Dugard and her daughters to avoid having to testify in a trial. The most recent offer involved Nancy going to jail for 242 years to life and Philip being sentenced to 440 years to life, but Tapson says that's too harsh. The Chicago Tribune says Tapson told reporters, "Did [Nancy] grab Jaycee? … Yes … While he was driving she grabbed Jaycee? Yes, yes, yes. That's a given, we're not arguing about that." He added, "As far as being involved in any of the sexual stuff, she wasn't ... She should be able to walk on the beach, probably with a walker, at some point in time before she dies."